This past June, about a week before Father’s Day, I logged into my personal Facebook page. A stranger had written on my wall the following message: “Hi, Are you the Judy Sandra that wrote The Metal Girl? I found your manuscript in the basement of my church. I’m reading it, and I really like it,” signed Rev. Tom Martinez. But how could that be? He was talking, of course, about my second novel, which I had written in 1993 when I was still living in Brooklyn, NY. Eight years after receiving an MA in Creative Writing, I wrote this novel as part of a private fiction writing class at the home of the novelist and translator Ursule Molinaro. At that time, I had only sent the manuscript out to about six or seven literary agents and a few book editors. Tiring of the usual runaround, I plunged into the next creative projects. I let the book go for the moment and moved on, eventually leaving NYC for good in 2001. Since then I gave it another edit and recently was contemplating adapting it for a screenplay. I marveled that any of the few copies in circulation still existed, sixteen years later, in a church basement, no less. “It all happened during a basement clean-up party a few months ago (before June). One of our parishioners was reaching into an old wooden file cabinet and pulling out old papers that we were aggressively tossing out. It was time for everything to go. 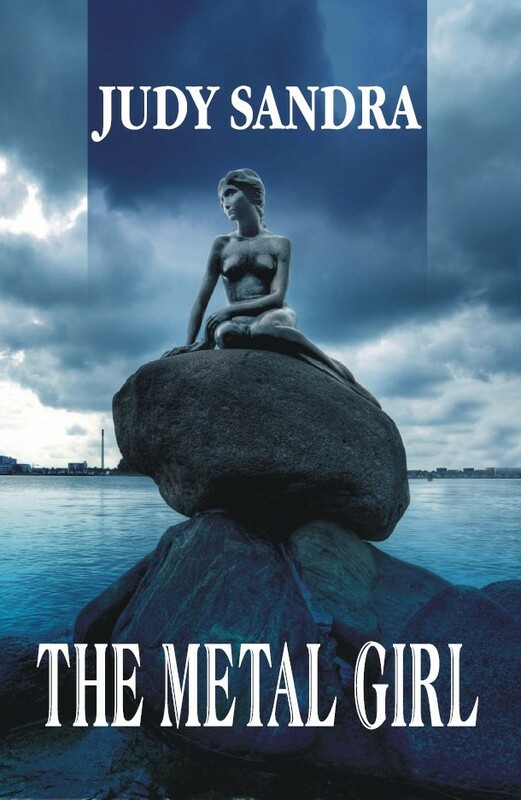 Then she held up a manuscript and said aloud, “What’s this?” The cover page read, “The Metal Girl,” listed Judy Sandra as the author and showed a Brooklyn address. We were determined to throw out everything, and I do mean everything. But I knew I’d never forgive myself and would always wonder what it had been. And, besides, how did the manuscript wind up here, at All Souls Bethlehem Church? I am most thankful and grateful for Rev.Tom Martinez, the parishioners of All Souls Bethlehem Church, and some truly divine intervention. I’m still nonplussed by this miraculous chain of events. In the end, one is left quite speechless. Do it. You’ll feel a little better. And someone will have water tomorrow.